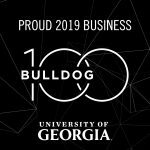 The University of Georgia Alumni Association announced that JETT Business Technology has been named to the 2019 Bulldog 100. 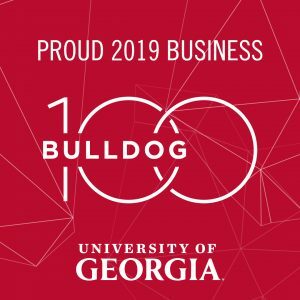 JETT Business Technology (https://www.jettbt.com/) was honored at the UGA Alumni Association’s Bulldog 100 Awards Banquet on January 26, 2019, at the Hyatt Regency Atlanta. The Bulldog 100 embodies the best of the University of Georgia. These alumni are leading the way in business and are building better communities. They are committed to their ideas, their innovations, and their employees. They demonstrate the value of a degree from the birthplace of public higher education. Whenever communities are seeking stronger leaders and when the world needs better solutions – the Bulldog 100 are there to answer the call to service. JETT was named to the distinguished Bulldog 100 after demonstrating outstanding performance in compounded annual growth rate for the years 2015, 2016 and 2017. In addition, awarded companies must consist of at least 50% ownership by a University of Georgia graduate and operate in a manner consistent with the Pillars of the Arch and in keeping with the values and image of the University of Georgia. JETT is owned by Brett Little (UGA BBA ’84), Jim Martin (UGA BBA ’84), and Ken Nagel. Congratulations to JETT Business Technology for securing their place in the 2019 Bulldog 100!